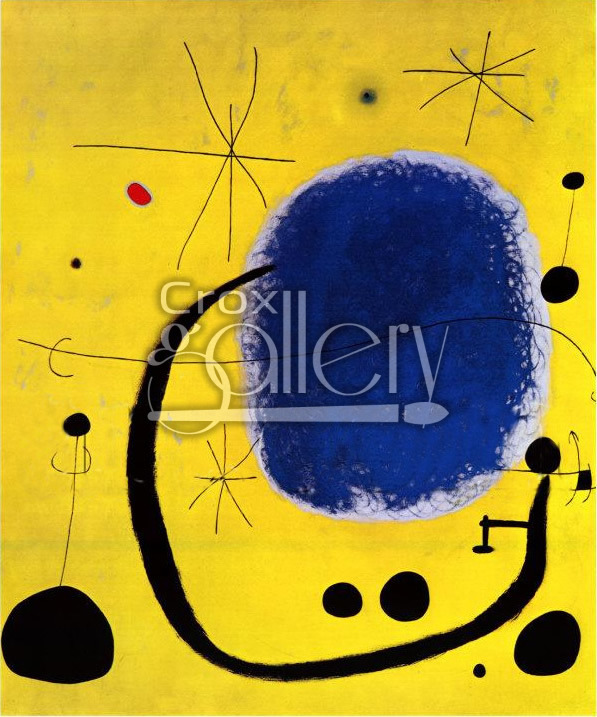 "Blue Gold" by Miró, Brightly Colored Painting. 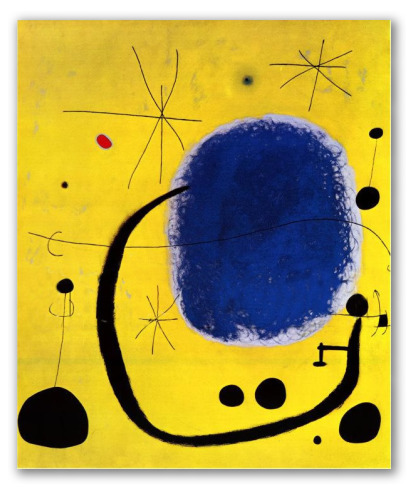 Painting by Joan Miró, also known by its Italian title L'oro dell Azzurro. This brightly colored painting highlights the yellows and blues in the composition, typical of the artist's pictorial aesthetic.